As winning becomes a habit with victory at Fulham, West Ham have their sights set on sixth place and Europe. How far and how long can this unusual situation go on for? At completion of the latest round of Premier League matches, the two horse race continues to pull clear in the top five while compression in the middle eight becomes more congested. Just five points separate sixth from thirteenth with barely any daylight between the goal differences – West Ham are one of four clubs with a zero goal difference as they effortlessly moved to within two points of sixth place. The Hammers are currently one of the league’s form teams and their record, following the opening four match wipeout, is approaching an impressive two points per game. A comparison with the 2015/16 season shows that West Ham are one point worse off at the same stage this time around – although back then the team were right in the middle of a seven game Payet-less win-less streak. The weekend also saw the Hammers surrender their position at the top of the Premier League most defeats ever table as Everton once again regained the lead. It was an unusual game on Saturday and one from which it is difficult to draw too many conclusions. A better team than Fulham may well have punished the Hammers during the opening exchanges where the hosts were gifted a handful of acceptable chances which were fortunately squandered. West Ham then scored two breakaway goals against the run of play, both set up by Felipe Anderson, which effectively ended the game as a contest. Having earned the two goal cushion West Ham were in complete command and the second half was a monumental non-event. Anderson’s late effort being, I believe, the only shot on target during that period. Manual Pellegrini said that the team had played well, but they had taken the lead without playing particularly well and then managing the game without needing to play well – keeping a clean sheet through efficiency rather than enterprise. As they say, though, “you can only beat what is front of you”, and a fourth successive win is more than welcome as a pre-Christmas gift. In 2015/15, the team had reached 29 points by the halfway stage and 62 by the end of the season. It is going to be interesting to see how Pellegrini’s boys perform against this benchmark. A relatively benign set of fixtures continues for a few games yet until they come up against Arsenal in mid-January. Extrapolating the current points to games ratio for the entire season would take West Ham to 53 points but to 70 points if the first four games were disregarded. 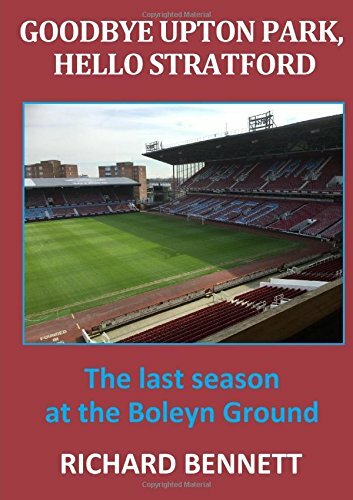 Now that the side has become much more settled and the players understand better what is expected of them, there is cause for optimism – but whether it is sufficient for the Hammers to claim a best of the rest sixth place, only time will tell. At the moment it is West Ham and Wolves who are the form teams in the chasing pack but previously it had been Everton, Watford and Bournemouth. No doubt Manchester United will again be throwing the cash around during the transfer window (in a desperate attempt to hold on to sixth) but their problems look too deeply embedded to be solved by a few extra high priced signings. With only fourteen shopping days left until the transfer window it is time for the reckless and unfounded speculation to ramp up once again. Pellegrini has been reported as saying that he is happy with squad (which must be music to the owner’s ears) but it is still a squad that is heavily hit by injuries. It is highly unlikely that we will see anything of Manuel Lanzini, Andriy Yarmolenko or Winston Reid this season, leaving only Marko Arnautovic and Jack Wilshere of what I would call regular first-teamers to return to the fold. January is always a notoriously difficult time to get good value and a team sitting comfortably in mid-table might be disinclined to invest heavily. It may well depend on how important for the Board’s income and egos the securing of European football is seen to be. Burnley are a fine example of why getting into Europe isn’t always the bonus it might seem for clubs with fewer resources. While a case could be made for strengthening both in central midfield and at full-back it would be no surprise if these challenges were deferred to the summer. Although myself (and others) occasionally find Pellegrini’s selection decisions and preferences somewhat surprising, I doubt that we can genuinely question his wisdom based on how the season has gone for him so far. The team is set up to play with enterprise and is a far more entertaining watch than for many a long year – possibly back to some of the more cavalier Harry Redknapp days. There is, however, always room for improvement. The defence is prone to being caught square – evidenced by Kamara’s early glorious chance – as they endeavour to play very narrow and set the offside trap. The narrowness of the defence is not consistently matched by an equivalent compactness elsewhere on the pitch – a necessity if opponents are to be denied space to pick out a pass. In possession, we also give the ball away far too cheaply and far too often. Although possession and passing accuracy stats can be misleading I believe the team should be doing better with the players available. On the plus side we have started to score freely and the goals are being shared around. Great to see Robert Snodgrass sweep another one home and have Michail Antonio back on the scoresheet twice in recent weeks. Antonio is looking more like the players from a few seasons back. Life is good, long may it continue. Previous Previous post: There’s Only One ‘F’ in Felipe. Hammers Go West For The Quadruple. Next Next post: After eliminating the Watford Gap much quicker than might have been expected, West Ham entertain the Hornets.